Instructions for third-party services like this are provided as a courtesy and may contain out of date information or screen clips. For the latest instructions, consult the third party's website. 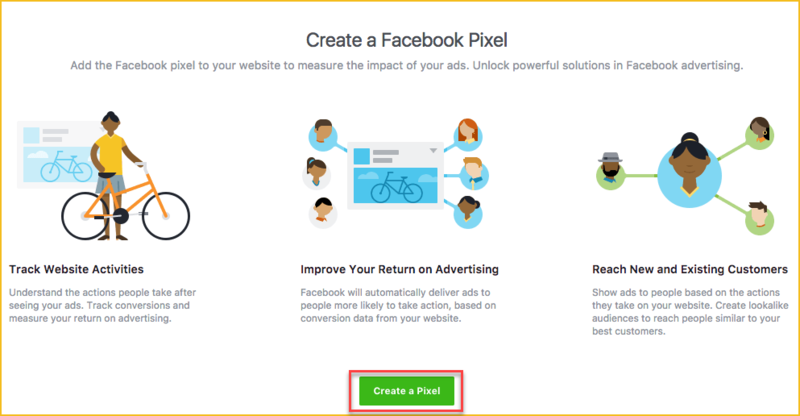 Adding a Facebook pixel allows you to track the behavior of visitors on your site – which pages they visit, which forms they complete – then transmit that information to Facebook, where you can show them ads based on their behavior. To add a Facebook pixel, you need to be logged as an admin on a Business Manager account on Facebook. For more information on how the Facebook pixel works, click here. On Facebook, go to the Pixels tab in Events Manager. On the next screen that appears, copy the Facebook pixel code. Log into your Wild Apricot site as an administrator, then click the Settings tab. Under Site settings, click Meta-tags. On the screen that appears, paste the pixel code you copied above into the Raw headers section. If you have site pages that do not use the global raw header – ones with page-specific raw headers – then you need to paste the code into the Raw headers section within the page settings for those pages. To test that the Facebook pixel is working properly, click Send Test Traffic at the bottom of your Facebook pixel setup screen. If your status is Active, then the pixel is working properly. You may have to wait several minutes before the changes takes effect. For information on using the Facebook pixel to track activity on your website, click here.